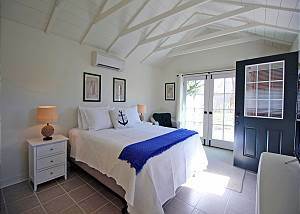 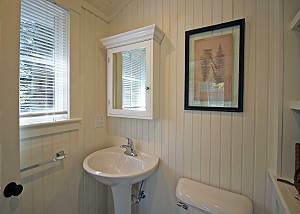 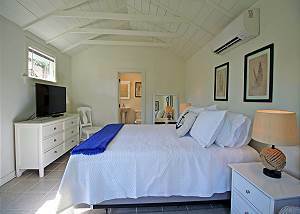 This is a beautiful main and guest house located within walking distance to town. 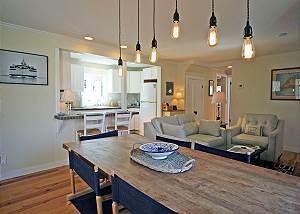 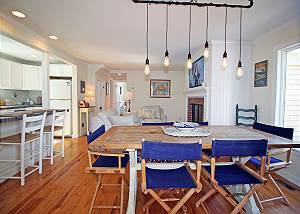 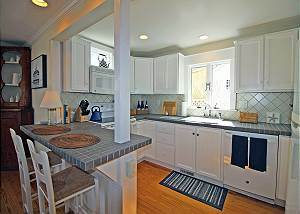 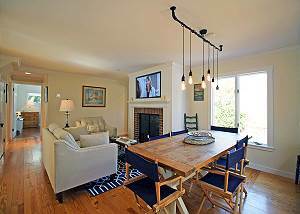 The main house has an open floor plan with a nice bright living room, dining room and kitchen on the first floor. 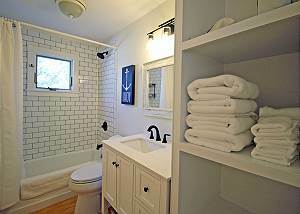 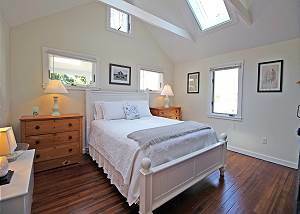 There is also a bedroom and full bathroom on the floor. 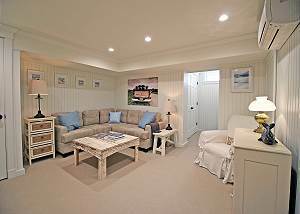 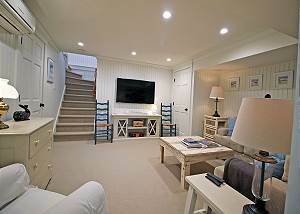 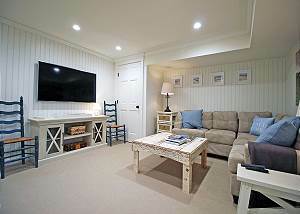 The is a great media room in the lower level with a large screen TV and sectional sofa. 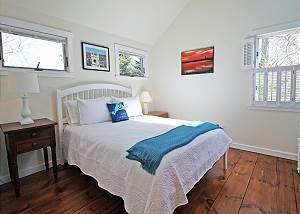 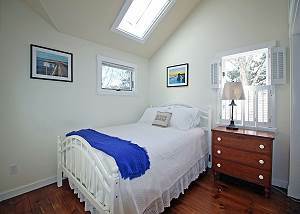 The second floor has a good size master bedroom with a TV, two additional bedrooms and a shared bathroom. 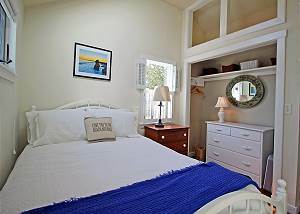 There is a separate guest house with a queen size bed, full bathroom, TV and small refrigerator. 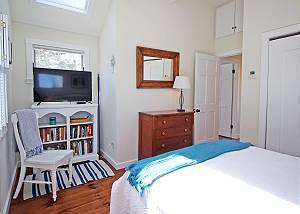 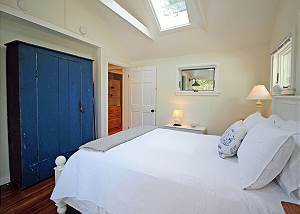 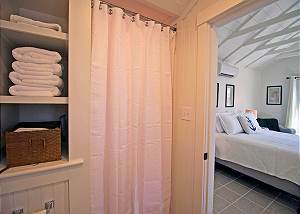 The bedroom has doors that open to a small patio too. 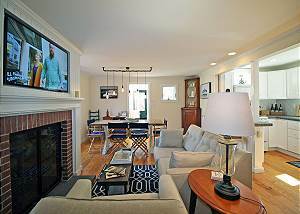 The backyard is fenced in and has a large patio with outside dining and gas grill. 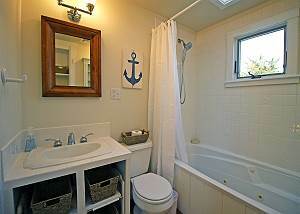 There is also an enclosed outdoor shower.